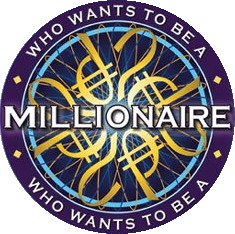 Do you want to be a millionaire? I know at least you do desire for a lot more money than you currently have now in your savings account. UgradeReality.com recently posted Become A Millionaire-What 29 of 30 People Don’t Know. These are really the 3 easy steps to achieve your dreams of becoming a millionaire. I find that a lot of people wants to become richer but they lacks the conviction to stay on course. Its sounds contradicting but it is true. They do the things that are the opposites of these 3 keys points. They spend more than they earn, they are lazy to look at numbers and don’t manage their assets, they give up easily when things are tough. Wake up! The road to success is rarely straight and smooth sailing! Everyone knows this, but most bite off more than they can chew. It is best if you can do both, but no matter what, please start! The rich have the same 24hrs as us, but they knows how to leverage their assets better than us. They also leverage on other peoples’ time, money and resources. That is how they are able to create more value in the same period of time. “What can I do now? I do not have anything to leverage on”, you might ask. You can start by leveraging on your savings or your knowledge. Learn about investment and use your savings to make more money, learn how to monetize your knowledge on your hobby. Most faces failure in life, but the rich learn from their failures and braces on while the poor quits. There are always uncertainty in life, keep going, keep going, keep going! Want to be a millionare?